At 112 years old, Anna is now determined to become the world’s oldest person eventually. Not only is she still alive, she and her daughter are still vibrant enough to work the family’s olive orchard. At the same time that a longevity researcher arrives to delve into the amazing lifespans of the Keller women, the youngest member of their clan – Anna’s great, great granddaughter – shows up, a happening that causes all of the women to reexamine their pasts and their often fraught relationships with one another. 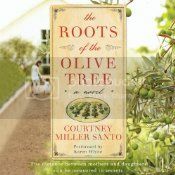 At its heart, The Roots of the Olive Tree is the story of the Keller women and how they interact with one another and their shared past. The longevity storyline certainly sets their story apart -not least for allowing five generations of adult women to interact – but despite the focus it never feels as if that is what is truly important. The Roots of the Olive Tree deals with many great mother/daughter issues, things that affect women who live in close proximity with one another. It is perhaps slightly overly dramatic from time to time, but generally feels emotionally true. In my review for Audiofile Magazine, I refer to Karen White’s “heartfelt narration,” and I stand by this description. 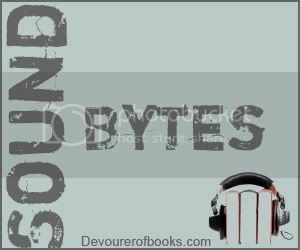 The wrong narrator might have highlighted some of the more implausible elements of The Roots of the Olive Tree and made it slightly ridiculous, but White hit all the right notes, bringing the focus to the relationships between the women. She (and the overall formatting of the story) also made it surprisingly easy to figure out which of the five generations of women was narrating at any point in time, which is quite a feat, particularly when only Anna had any sort of distinguishing accent. An enjoyable read and an even better listen. I enjoyed this book but felt like the ending just left me hanging. I was fine with the ending, but I can see that. This sounds like a great story…I’m going to have to put this one on the list! I had the same problem as Kathy did with the ending, I just didn’t get it. Other than the epilogue, I enjoyed the book a lot. Being a first born daughter in a fairly long line of oldest daughters, this book has been on my radar. I love Karen White’s narration. I would definitely chose to read this in audio based on that and your review.